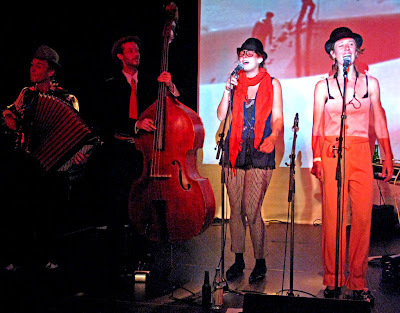 Orkestar Baxtalo er københavner-sigøjnere, en samling virtuoser, taskenspillere, gøglere, skrighalse, klaverstemmere og luksusbumser. Bandet blev samlet i starten af 2008, og har turneret i Rumænien og spillet koncerter i Sverige og Tyskland. Familien består af erfarne folk fra Rusty Båthorns, Los Perros Verde, Nitterne, Klepti klepti - fra cirkusteltene, carbaretscenerne og fra den Københavnske underverden. Baxtalo har udgivet en EP hvorfra sangen Manua Cu Voca er nomineret til Årets World Track 2008. Islandsbrygge den 4. september 2008 og havde en del af sine medlemmer med i Istanbul for PART 4. 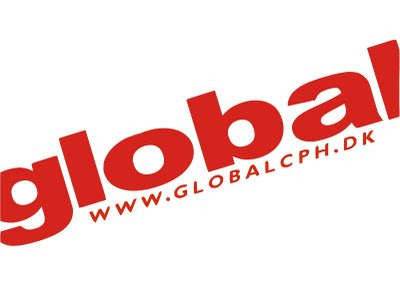 Global CPH presents world music with a selection of the best international and national bands. 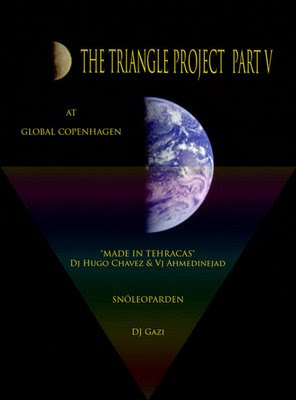 Global CPH is placed in the heart of Copenhagen, in the ethnic rich Nørrebro area. The musical profile focuses on the many exciting mergers, which characterize the Global music world. 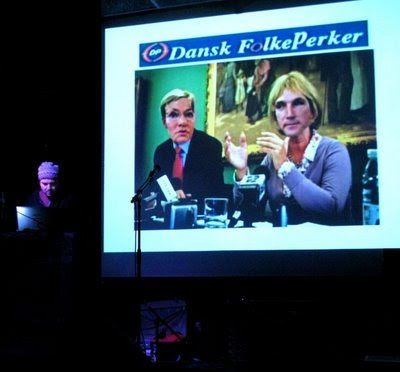 Global CPH, whose booker (Peter Hvalkof) is also booker of the famous Ballroom stage at the Roskilde Festival, offers its audience unique concert experiences, where people bring something extra back home. A strong fascination for world music has led Jonas Stampe to travel a lot, especially in India, Pakistan and Morocco. In ’98 he spend one year in India as a sitar-student under Ravi Shankar, and in ’99 he was a part of Ravi Shankars live-group on a tour in the UK. "The snowleopard is so cool - it makes its own instruments - makes its own drugs - makes its, whole and completely, own kind of music which you cant hear anywhere else in this cosmic zoo. The snowleopards favourite colour is green. its favourite stones are chrystal and agathy. its level of inspiration is light purple." "Have you ever come home from the pub and watched Sesame Street? It's good isn't it? Listening to Snoleoparden is a very similar experience... If there's a child left in you, it'll want to spend some time with Snoleoparden. At the end of the day, if this doesn't put you in a good mood, nothing will." 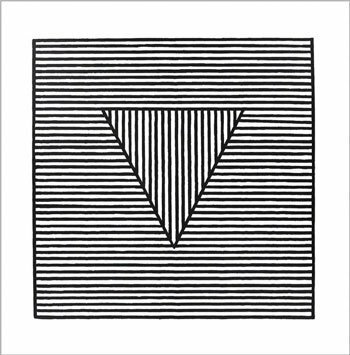 - Damian Leslie, Incendiary Magazine. 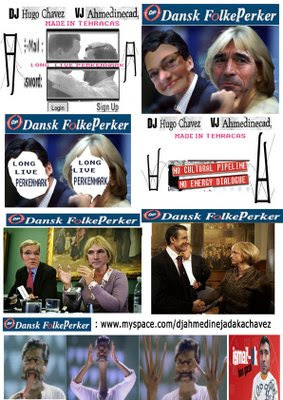 DJ Hugo Chavez & VJAhmedinejad will perform "MADE IN TEHRACAS" at GLOBAL CPH on October 18th, 2008. A new multimedia art project from Tehran & Caracas investigating culturalistic clicés and their effects on the economical and political situation of individuals; "Against the Walls and Against the Bridges". 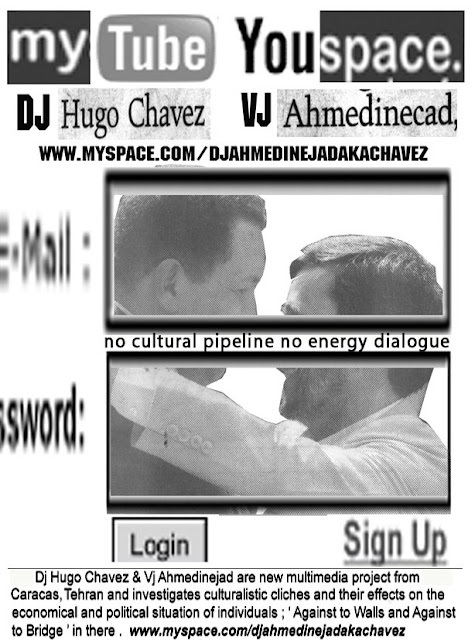 Dj Hugo Chavez & Vj Ahmedinejad Project focuses on media literacy, the role of advertising and corporate power in our lives, intellectual property issues and the evolution of art, law and resistance in a media-saturated multi-national world and deconstructing Turkish films from the 60s and 70s and the Ethnic Market and East-West gateway clichés about Istanbul and creates bizarre new forms similar to the kaleidoscope effect with Middle Eastern Uranium and South America's Bolivar.